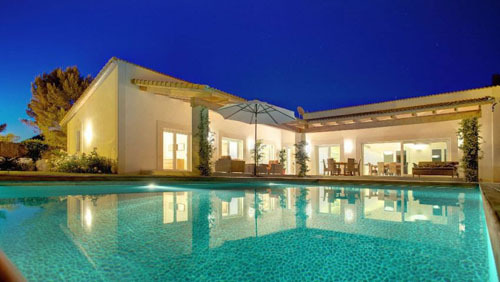 YOU're looking for the perfect holiday accommodation in Spain? Holiday-Locations.com started in 2007 with a handful of villas in Marbella, Nueva Andalucia and has now grown to a holiday rental company with holiday properties all over Spain. Marbella is still our single biggest destination where we have over 400 holiday apartments, holiday houses and holiday villas, and another 200 holiday properties from the Costa Brava and Costa Blanca down through the Costa Calida to the Costa del Sol, the Canarian Islands and Balearic Islands. As a holiday destination, Spain remains ever popular as it offers the perfect mix of sun, sea and sand along with the fabulous local food & wine that really make a great holiday. And with a huge selection of villas with private pools and terraces for barbeques you can enjoy the freedom and privacy that you won’t get at a hotel. So whether you're looking for apartments, houses or villas in Spain and the Mediterranean, there'll be something here for you. 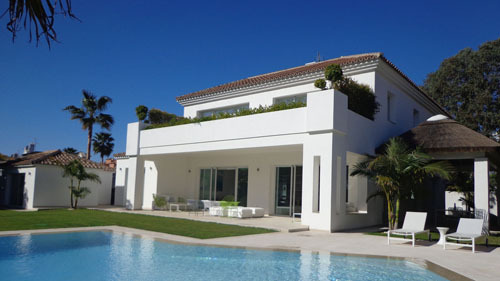 We offer a choice of beach villas and apartments for rent in Marbella, not all villas or apartments are frontline beach rentals, but all of them are very close to the beach. If you check the details of the individual beach house rentals, you will find information about the distance to the beach. A beach villa or apartment in Marbella is, of course, for people who adore the sea and as these are often families with children, most of the houses have private swimming pools. Book your beach villa or apartment in Spain and enjoy a holiday with unbeatable sea views from your terrace. The beaches in Spain are amongst the cleanest and safest in the world, and with the perfect weather to be able to take advantage of the beach on your doorstep you couldn't ask for anything more. Many of our luxury villas come with maid and concierge service as standard and of course the very highest standard of amenities. 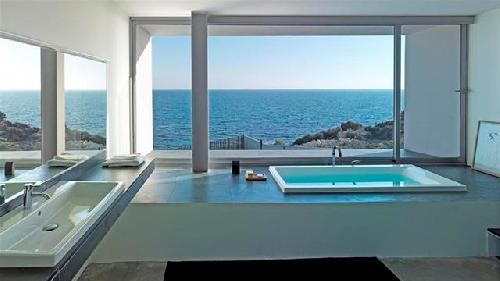 Villas on the beach in Spain or preferably beachfront accommodation in Spain with sea views, whether it’s Spanish beachfront apartments or luxury Spanish beach villas you are looking for you are sure to find them here. The majority of agents we work with offer live availability and provide the opportunity for online booking taking the hassle out of securing your holiday rental. Being based close to the seafront makes good sense as many people's holidays centre on the activities, cafes and restaurants near the beachfront. HLL is the business name for our Internet platform, which provides the options for a potential customer to find a suitable rental property and the other other hand, owners, rental agencies, real estate agencies the opportunity to offer their properties. HLL Holiday Locations Linited service will be available in 10 Languages and on around 20 different webpages. the bill can be paid by bank transfer, Paypal or credit card. extras, photos) must be done only on our main site www.holiday-locations.com and will be made automatically on all pages effectively. on-line for another 12 months, after about 5 weeks you will receive the bill for the next 12 months. The price system is very simple. You pay a fixed yearly fee and there are NO commission charges!! Payment options: 1.Paypal / 2. Bank transfer.